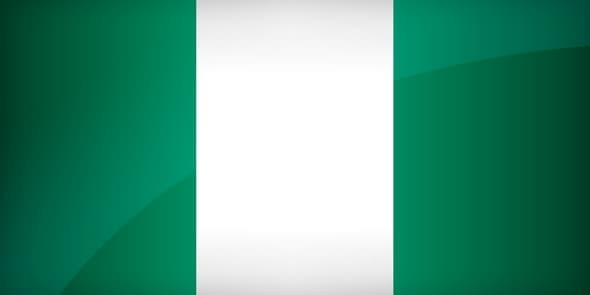 The Federal Republic of Nigeria is often referred to as the Giant of Africa, and with good reason. The nation is home to 184 million people, making it one of the largest nations in the world. It is a multicultural society with what is now considered a stable and fair democracy, a situation that has likely helped the country develop the largest economy in Africa, and one of the top 20 economies in the world. A regional power, Nigeria is often considered a likely candidate to break out as a major economic power in the 21st century. Despite moving in a very positive direction, this is still a nation with relatively low incomes, especially compared to wealthy Western nations. Still, there has been enough prosperity amongst enough people to support a rather robust gaming industry. From live casinos to online gambling, there are plenty of ways to play bets in this country, and none of them are more popular than sports betting. While live sportsbooks started showing up in the country as early as 2007, online sports betting has only more recently been regulated. However, it didn’t take long for established and new operators to take advantage of these opportunities, and there are now plenty of locally licensed sites operating in the nation. 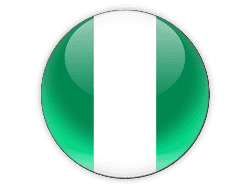 There are also a number of foreign-run websites that allow Nigerians to play despite being hosted overseas, making it easy to find ways to place a bet on any sport you like. Examples of local sites include Bet9ja, Bet365Naija, Nairabet, and Merrybet, each of which offer betting on a full range of sporting competitions worldwide. Numerous foreign sites that target grey markets also allow bettors here to place real money wagers in their sportsbooks as well. Compared to gamblers in many other African markets, Nigerian bettors can benefit from a wide range of different deposit and withdrawal options, thanks in large part to the nation having a more robust banking system than in some parts of the continent. Local debit and credit cards branded by Visa, MasterCard, Verve, and Interswitch can often be used for instant deposits, with online transfers from a number of local banks are also possible. When it comes time to withdraw your winnings, bank transfers are the most popular way of receiving funds. Of course, other options may also be available at some sites, and overseas options in particular may offer a host of options that aren’t commonly utilized in this market. Given the high level of success that their national team has enjoyed, it should come as little surprise that football is the most popular sport in Nigeria, regardless of whether we’re talking about playing, watching, or betting. Sports betting sites here offer up numerous ways to bet on a variety of matches, including all of the major European leagues that fan follow around the world, as well as international competitions, the Champions League, and smaller competitions throughout the world. Of course, you can bet on just about anything at these sites, and many popular world sports are covered at Nigerian sportsbooks: basketball, tennis, rugby, cricket, and American football are among the many different games that you’ll find odds for. Even more obscure competitions like bandy, darts, and floorball can be found if they interest you. Most gaming law in Nigeria is established by the Criminal Code Act, with the relevant sections being most recently updated in 2004. One of the interesting things about the law here is that only games that offer up some sort of skill-based play are generally allowed. For instance, roulette is not allowed, nor are dice games (with the exception of backgammon, which involves a high degree of skill), though most card games that offer up a skill element are permitted. Sports betting, being a discipline in which players must make decisions and can improve their results through study and experience, is also legal. A national lottery has also been legalized, overseen by the National Lottery Regulatory Commission. That National Lottery Regulatory Commission is important, as it also legally has the right to regulate any sort of betting related to sporting events. Operators who want to offer such bets simply need to procure a Sports Lottery Permit. As in the United States, much gaming law is controlled at the state level rather than by the federal government. For instance, many online sportsbooks are licensed through the Lagos State Lotteries Board, with operators being able to apply for annual licenses. This is the only way for iGaming operators to get a legal foothold in the nation, as federal law makes no reference to Internet gaming at all. As in many nations, sportsbooks are able to set up brick-and-mortar shops in Nigeria, and you will find these frequently in cities throughout the country. Lagos in particular has plenty of locations, as well as bingo halls and other gaming venues. Casino gambling is also well-known in Nigeria, with three full-scale casinos currently in operation. The Federal Palace Hotel and Casino is the premier destination hotel in the country, and one of the most popular and luxurious international hotels in all of Africa. The gaming floor features everything you’d expect from a major resort: machines, table games, poker, and amenities like bars and restaurants. Also available in the city is the Le Meridien Eko Hotel and Casino, as well as Abuja’s only casino, located in the Transcorp Hilton. While information on the taxation schemes used in the Nigerian gaming industry are difficult to come by, it is clear that operators are taxed on their profits. However, it appears that this taxation is rather flat across all types of gaming, and may even be a simple business tax that is no different than running any other type of corporation in any industry. It has been suggested by some that better considering the needs of various sectors would help grow the industry and provide more revenue for both states and the federal government. Casinos are taxed under a special Casino Taxation Act, first passed in 1965. Similarly, it appears that individuals may have to pay taxes on their gambling winnings here, but the exact percentages or whether this is handled differently than regular income is unclear. We have seen reports that the rate may be 20%, but we are not certain of the accuracy of this figure, as it may be derived from other African markets. If you are uncertain as to what you might owe on your betting winnings, it is best to consult a local tax professional. One of the biggest issues facing Nigeria is the incongruity between its sports betting regulations on the state and federal levels. It has been suggested by researchers that the way in which the entire gaming industry is regulated needs a review and overhaul so that there can be stronger oversight and more consistency across the country. One of the biggest problems here is that the government may be missing out on extensive tax revenues because of two issues. As in many nations, the proliferation of overseas sites that do not pay taxes in the country is costly, of course. But there’s also regulatory confusion that may be leading to less taxation than should be taxing place, with the National Lottery Regulatory Commission being uncertain whether it should be collecting from state-licensed operators. In terms of the industry, however, things are looking up for Nigerian operators. Both sports betting and casino gambling continue to grow at a rapid rate, with Nigerians betting approximately $4.2 billion a year, far outstripping the licensed casino industry (which brings in just $40 million). With this explosion in betting has come worries of problem gambling, as it is said that about 30% of young adults bet on sports. On the positive side, if this part of the industry can be effectively taxed, it could mean a new and large source of income for the national coffers, helping to further develop this increasingly powerful player on the regional and world stages.